Building an SEO strategy after putting in the time and effort to build a website might seem unnecessary. After all, you poured your blood, sweat and tears into a site that tells your story or message perfectly, promotes your product or service and embodies your company or organization’s personality perfectly. What more could you need to reach the goals you had in mind when you built the site? An SEO strategy is a vital component that can mean the difference between making your beautiful website a complete success or a virtual ghost town. 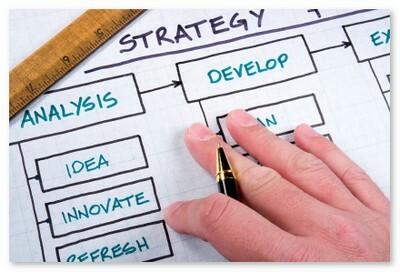 A good SEO strategy will act as a road map for visitors. It doesn’t involve actual street signs or visual maps, but it will use components like keywords and search page ranking in much the same way. A high search page ranking will make it easier for visitors to find you when they look for pages using your keywords. Your keywords are essentially signs that direct the visitor. As long as you choose accurate, relevant keywords, you will entice visitors who are actually interested in what you have to say or offer. Without SEO, your page rank may stagnate or drop and potential visitors may not have keywords to guide them to your content. How Do You Measure Site Performance and Goals? You probably have goals for your website, something like selling a product or service or spreading a message. These goals are important to help you decide what to do with your site. How can you tell if your website is supporting those goals and getting you where you want to go? Every good SEO strategy should include something about monitoring site growth and progress. By incorporating this into your SEO strategy, you will be able to see if more people are stopping by and taking the action you want them to take. If not, you can quickly identify weak areas and strengthen them. This allows you to track site performance and stay flexible so you can react promptly when you find issues or shortcomings on your website. No matter whom your target audience is the right SEO strategy can help you reach out to more individuals within that demographic. Your keywords will help you be seen by those who are truly interested in your site. This is also important for the longevity of your site. You may enjoy a traffic boost at first, but what about months or years down the road? You should strive to encourage new visitors to come by regularly to maintain or grow traffic to your web pages. Your SEO strategy should be able to do this by making it easier for more of your demographic to find you. Each person who stops by is also someone who could share your URL with others. 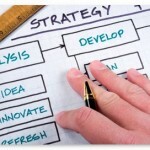 Your SEO strategy is a keystone in the success of your site.